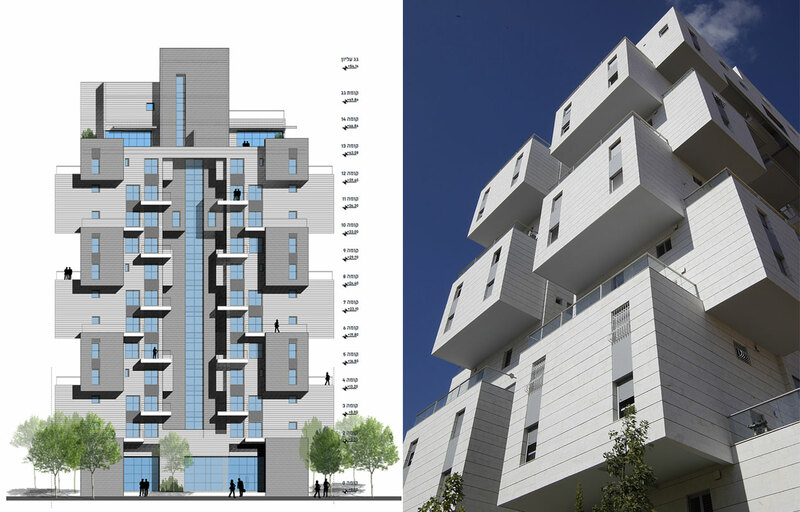 This 15 floors 52 apartment building, located in Pinhas Eilon 10 st. Holon. 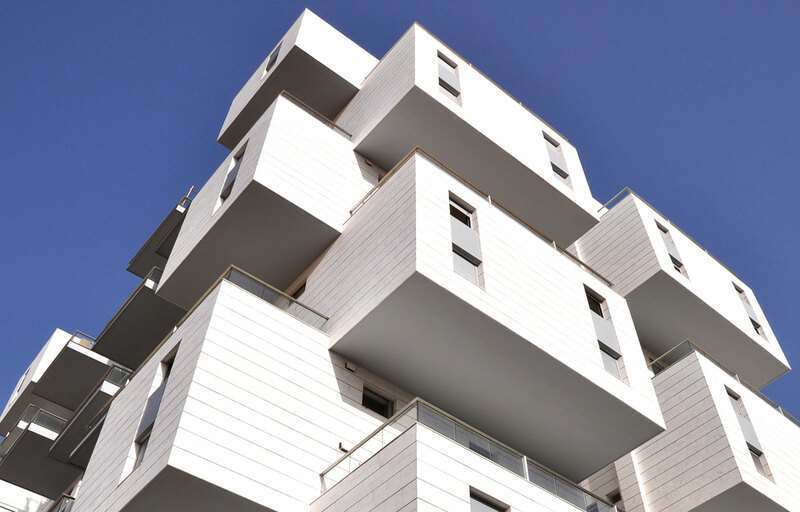 The building presents a unique approach to dwelling design. 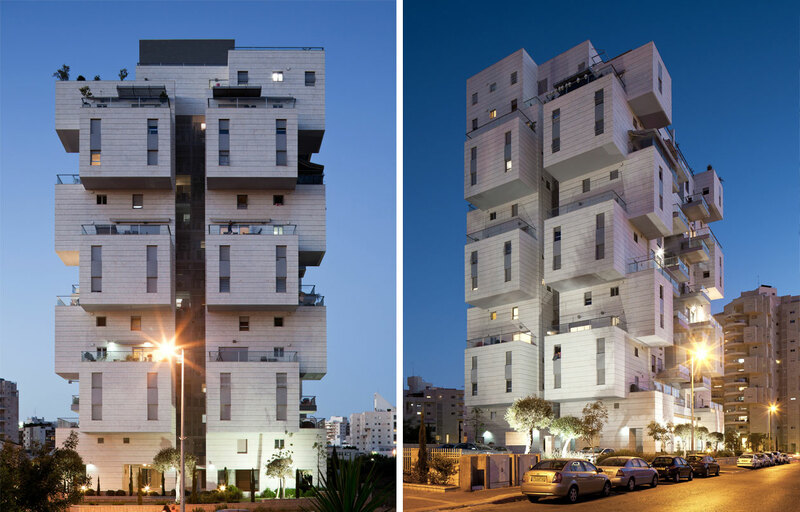 Each apartment is visible as almost a separate "sky villa", with a large open-air balcony and enhanced exposure. 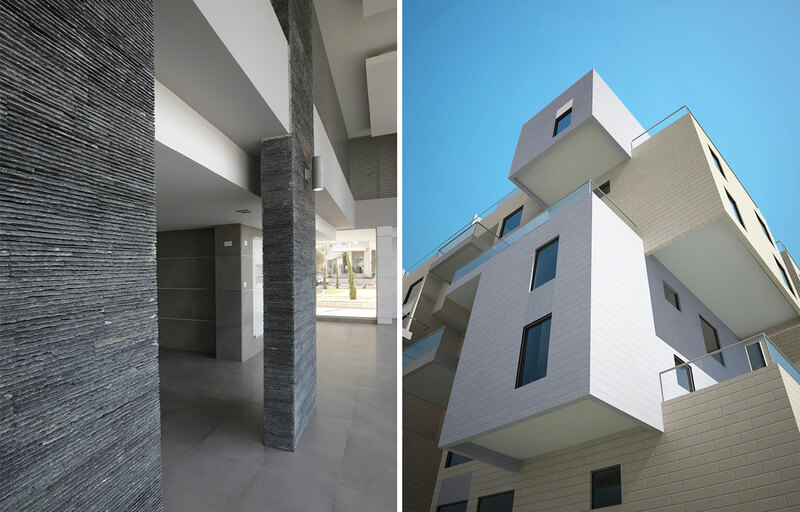 Each floor house four 5to 6 room apartments, with an area of 125 - 140 sq.m. each. By rotating part of each second unit large 30 sq.m. terraces are gained. Photography by Amit Geron, Ami Shinar and Ran Erde. 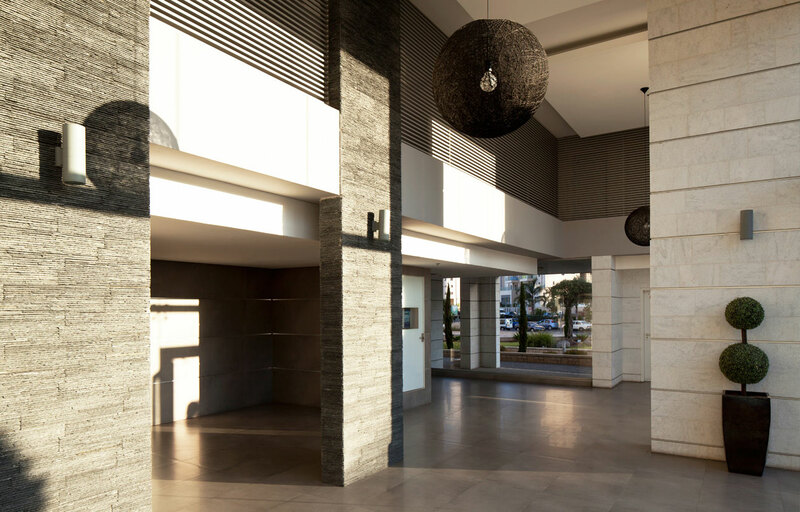 Lobby interior design by Zigi Zohar. See Publications for more details. 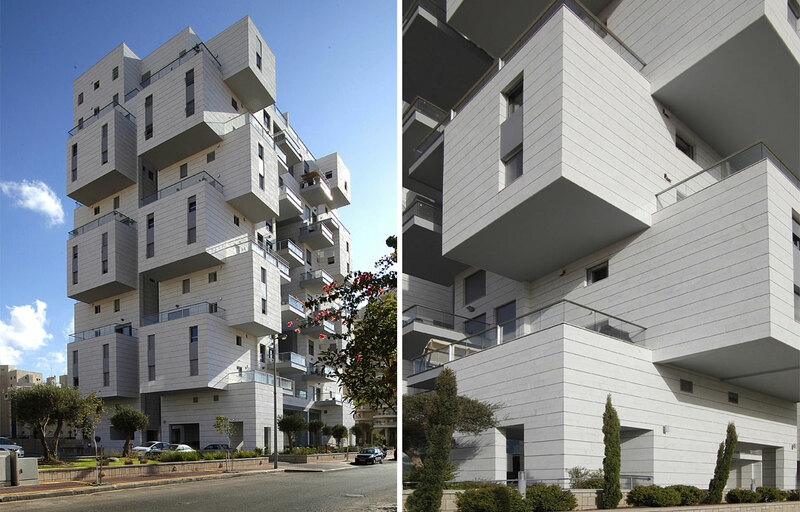 This 15 floors 52 apartment building, located in Pinhas Eilon 10 st. Holon. 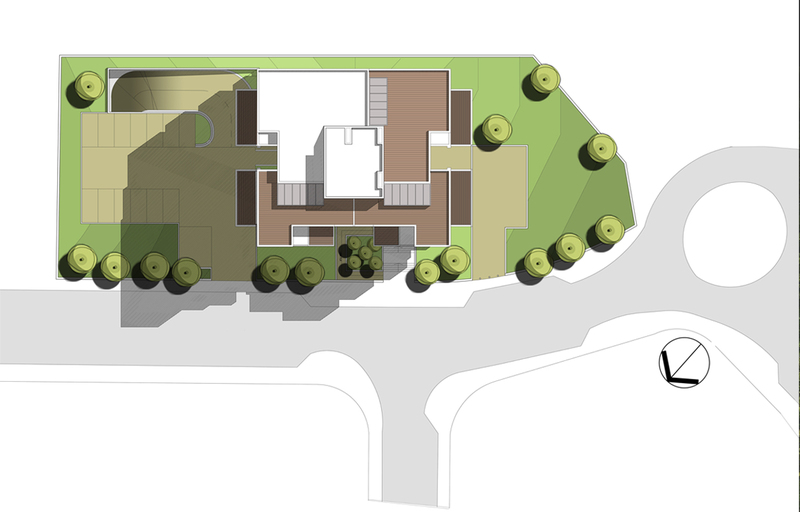 The building presents a unique approach to dwelling design. 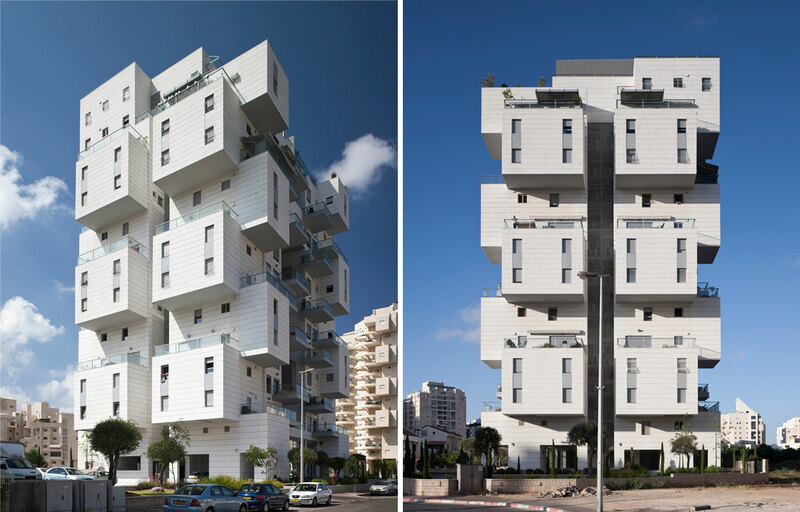 Each apartment is visible as almost a separate "sky villa", with a large open-air balcony and enhanced exposure. 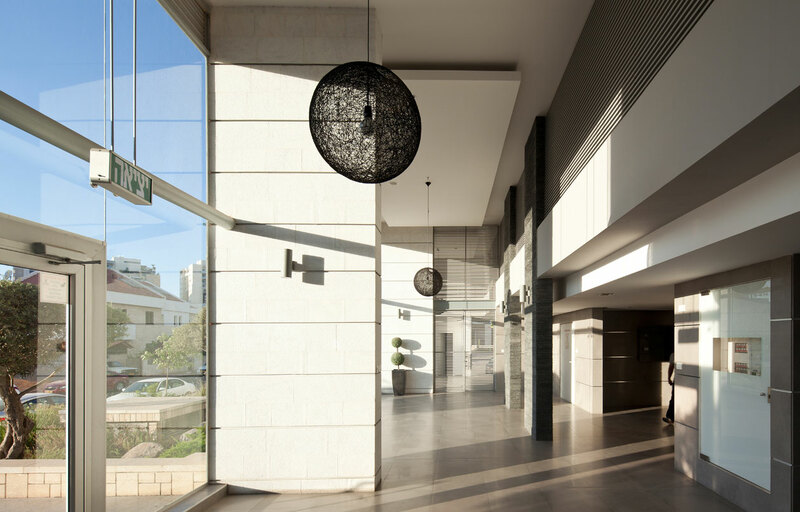 Lobby interior design by Zigi Zohar. See Publications for more details.